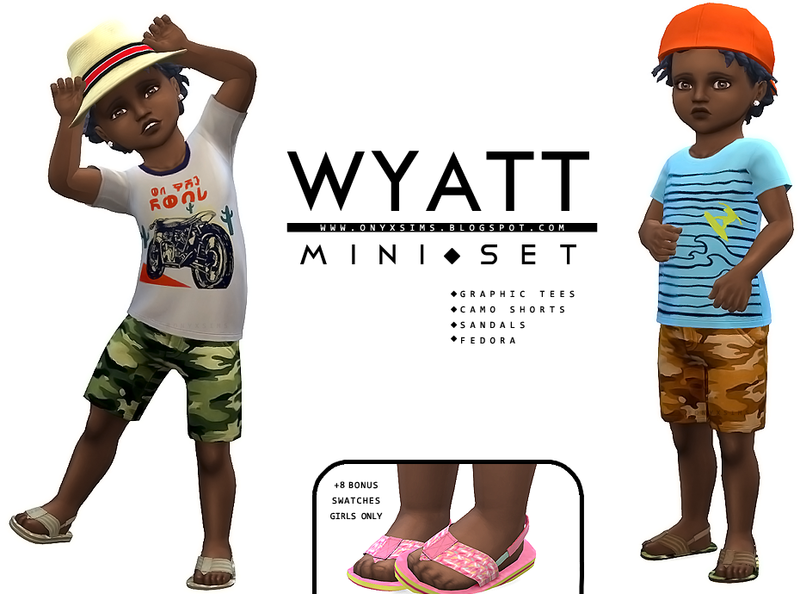 Inspired by my nephew, this is a mini set of recolors and a few new meshes for your toddlers. 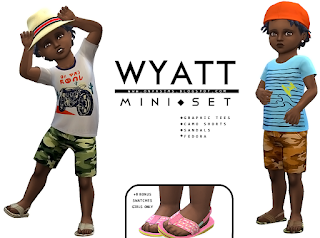 The shirt and shorts are base game recolors, the fedora is an age conversion and the shoes are a new mesh. Also included are two decorative objects, a shoe box and these same sandals.